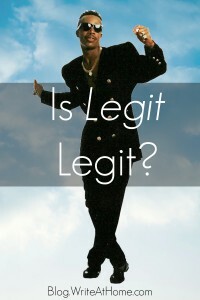 Home / Blog / Is “Legit” Legit? 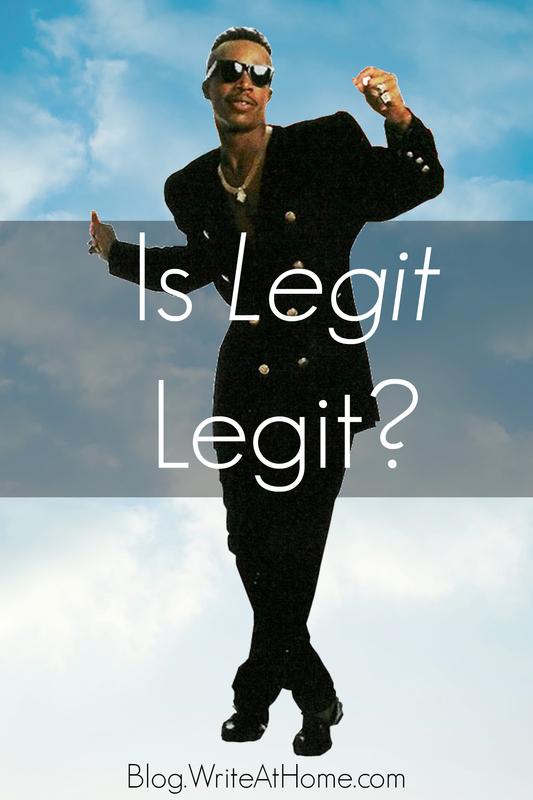 My pastor used the word legit in a recent sermon and it got me wondering–it legit legit for formal usage these days? The American Heritage Dictionary and the Merriam-Webster Collegiate Dictionary both list legit as “slang, short for legitimate.” The Oxford English Dictionary is more accepting, calling it “colloquial” or “informal.” None of my usage dictionaries address the issue. I can only assume, however, that the word had a different meaning in the 1800s. The Oxford English Dictionary backs me up on this. But it reveals that the current use of the word–as shorthand for legitimate–goes back over one hundred years in print. The first published use seems to be in 1897, and there are examples of the same kind of use in every decade until today. So, what’s the verdict? Well, it’s clear that publications still greatly prefer the full legitimate to truncated version. That means I can’t encourage you to use it in papers where you seek to impress your audience with your command of formal English. I think it’s a shame though. A hundred years of use would seem to add some legitimacy to legit. It should at least be upgraded from slang to informal in all dictionaries; but it’s definitely still firmly in the informal category. Use it all you like among friends, but avoid it in formal situations. Leave a Reply to That's Random Click here to cancel reply.